This blue jersey was worn by Brady Austin while playing for the Columbus Blue Jackets during the 2017-18 National Hockey League preseason. 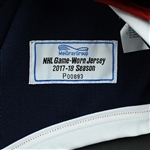 It includes the NHL Centennial patch. 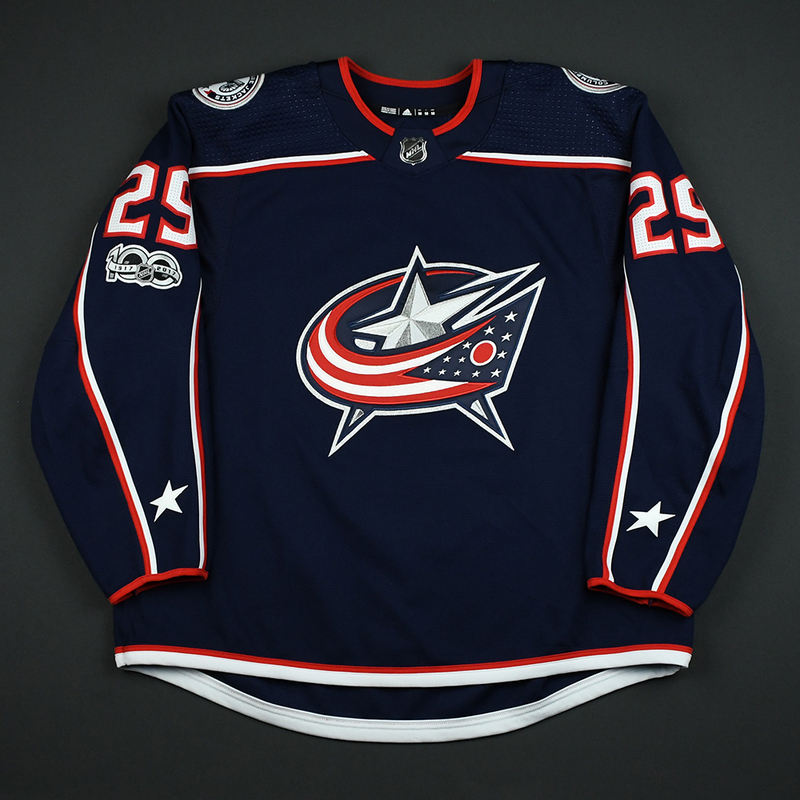 Austin scored six goals with 17 assists in 65 games for the American Hockey League's Cleveland Monsters in 2017-18. 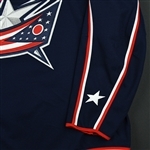 The Blue Jackets finished fourth in the Metropolitan Division with 97 points (45-30-7) in 2017-18.